Abstract—A novel architecture for a large amount of satellite data transport is presented which based on Synchronous Digital Hierarchy (SDH) technologies. This architecture consisting of terrestrial networks, satellites with an inter-satellite link (ISL), fixed earth stations, transportable earth stations, portable and handheld terminals, and user terminals connecting to satellite links directly or through terrestrial networks over SDH , over IP, over ATM or other network protocol. Datagrams such as ATM (asynchronous transfer mode) cells and IP (internet protocol) packets can be transported over SDH links between satellites in space. All kinds of ground terminals can access satellites directly with IP or ATM protocol or through SDH. Index Terms—Digital hierarchy (SDH), inter-satellite link (ISL), asynchronous transfer mode (ATM), Internet protocol (IP). The authors are with National Key Laboratory of Science and Technology on Space Microwave, Xian 710100, China (e-mail: Huly39@cast504.com, zhouq@cast504.com, Lij206@sina.com, cuit81@cast504.com). 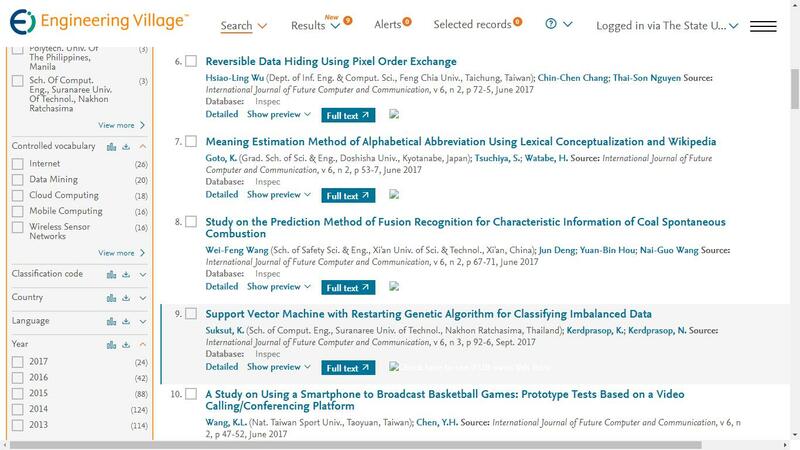 Cite: Yanlang Hu, Quan Zhou, Jun Li, Yi Zhang, Jingling Li, and Tao Cui, "Architecture and Protocols for Satellite SDH Networks," International Journal of Future Computer and Communication vol. 5, no. 5, pp. 210-213, 2016.